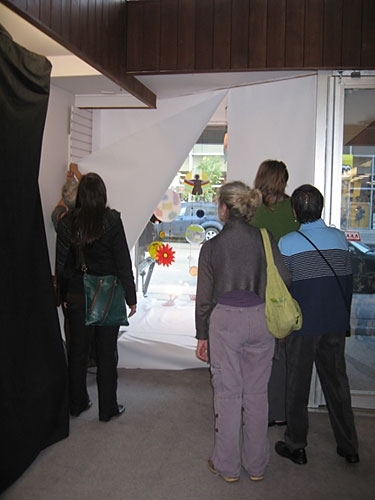 The Birthing Project was created through WITH ART which matches artists with community groups to explore issues through the collaborative artmaking process, creating projects that directly address community concerns while leaving a permanent visual and cultural legacy in Winnipeg. 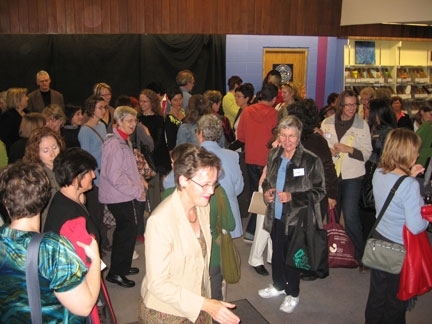 Artist Judy Jennings worked with the stories of birthing women, women in labour and midwives for several months. She met with new and expectant mothers and their babies throughout the project, conducting workshops where the women contributed sketches, stories and photographs. The women were asked to reflect on symbols about pregnancy and delivery that they believed would help other women gather strength during their labouring. Judy translated their sketches into glass pieces that were eventually arranged in an installation. To create the individual discs, paper drawings of the images were first made. 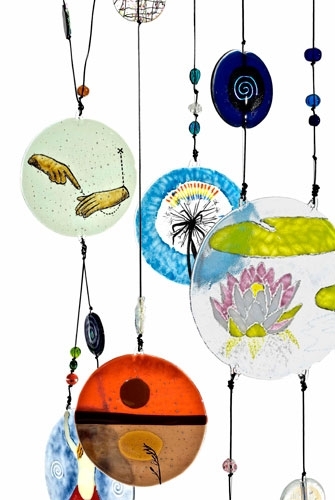 The glass discs were then created from the sketches by layering glass pieces and powdered glass and firing in the kiln to fuse the layers together. Ms. Jennings made the glass beads using a lamp working torch that runs on a mixture of oxygen and propane for a flame hot enough to melt glass rods around a steel mandrill. The project was titled The Birthing Project to honour the pioneering work of Judy Chicago, who created the Birth Project in 1985. This new piece acknowledges what Ms. Chicago has done in recognizing the importance of mothers and the help derived from the research she has published. “We envisioned a project that would represent the power and joy of the work of giving birth-- and to reclaim it as a social and cultural event, not just a medical one. Judy has captured exquisitely the stories and images of women, midwives, nurses and physicians who shared their birth stories with us.” Madeline Boscoe, Women’s Health Clinic. Judy has worked with glass for thirty years. Operating from her home studio, she has accepted large commissions for stained glass windows in houses of worship, commercial and residential properties. 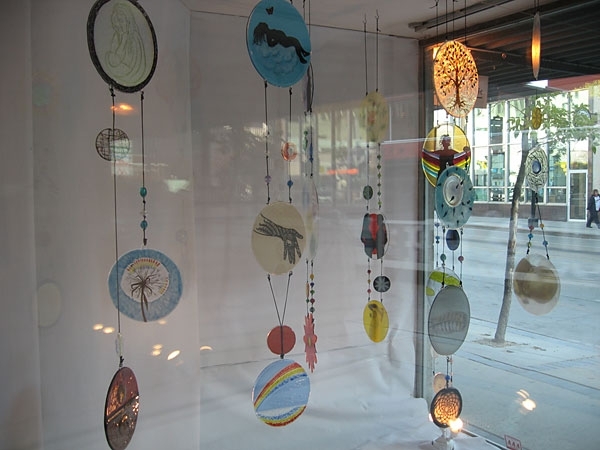 She also works with fused glass, the medium used in The Birthing Project. 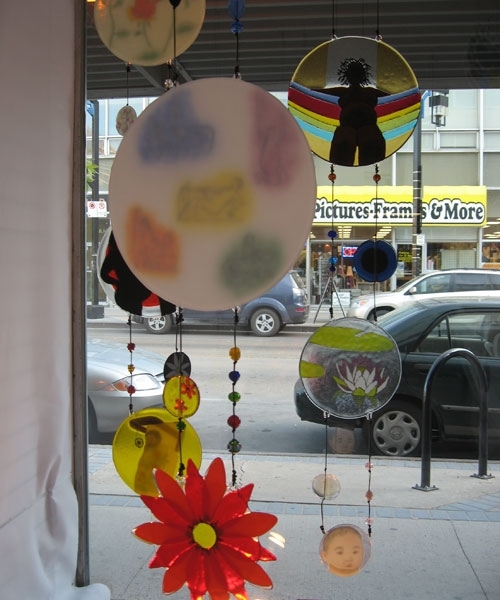 Now semi-retired, Judy divides her time between volunteering, travelling, creating unique fused glass pieces for gallery sales and learning to paint with watercolours.